You know the exact types of products and services economists need, and you can deliver those resources to the right target audience with our economist email database. We will provide you with a premium economist mailing list you can use to enhance your existing CRM database. Economists work in a variety of fields for companies in a broad range of industries. 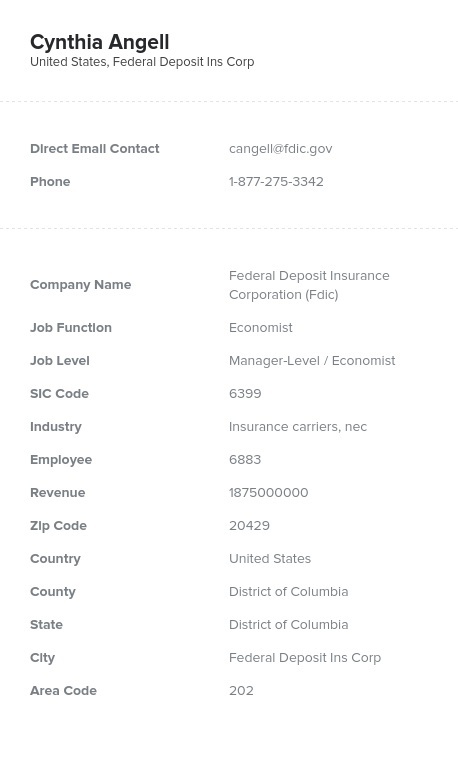 It is tricky work to develop an economist email list that delivers accurate contact information, but that is precisely what we do. You can buy comprehensive business contact lists from us and have the economist email database you need to show them what you can supply and create demand! Are you looking for sales leads for economists in the field of academia? Or maybe your resources are more suited to analysts and economists in the corporate world. Perhaps you are looking for economists acting as C-level executives at financial firms. Either way, we can give you an economist mailing list that gets to your target audience and gets you results. You can buy this pre-built list or use our online list-building tool to extract your own information and build an economist email list that gets you talking right to key decision-makers. We have the accurate resources you need to get a business email list filled with verified contacts. The economist email database you buy from us will have the email addresses, phone numbers, and fax numbers you need to make sales, create strong business relationships, and expand your customer base. When you put stock in our lists, you're sure to reap dividends!